That is the golden number of months at which leopard cub mortality drops away exponentially, and their chances of survival rise rapidly. A number of factors contribute to this, but a combination of size, speed, agility and experience all play a part in helping these growing leopards avoid the numerous dangers they will continue to encounter on an almost daily basis. Bearing in mind that that statistic doesn’t take into account the influence that their mother has on them, how then are we to imagine what sort of chance two newly orphaned 14-month-old cubs have of making it to maturity? As I’m sure many of you will be aware now, the sad news reached us only a few days ago of the death of one of Londolozi’s oldest leopards, the Xidulu female. At just under 16 years, she was in the twilight of her life, but still should have had at least a year left, without having it cut short by an encounter with two male lions. Her body was found close to where these two as-yet-unidentified males were resting, and the tracks seemed to indicate that they had caught her unawares. As leopards approach old age, their senses will necessarily dull, and muscles that once had incredible spring in them won’t be as able to launch them into the branches as quickly as they once could. Whilst no one actually witnessed her final moments, it seems likely that the two lions either caught her while her attention was elsewhere, or if we want to put a romantic spin on it, she may even have been defending her two cubs unto death. How many times before would she have put her life on the line to defend offspring? With at least five of her previous cubs having reached independence, the answer is probably many. 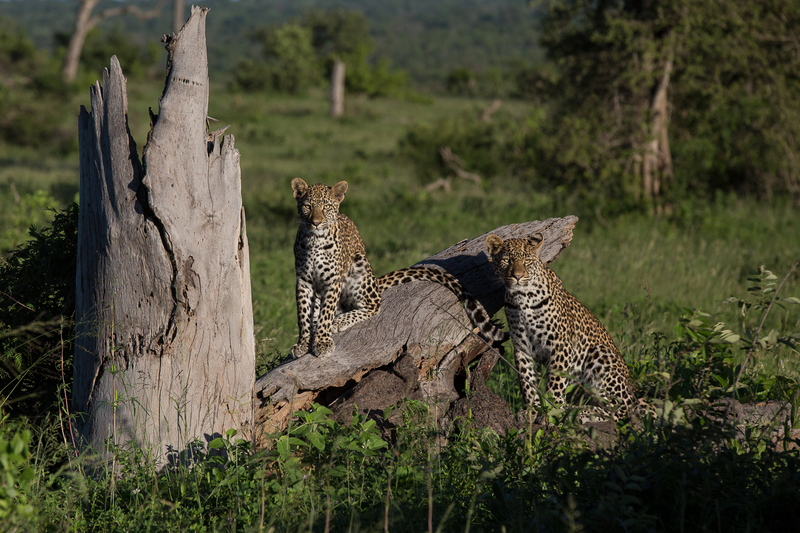 Should the cubs she has now left behind survive as well, her record will stand at seven offspring raised; a phenomenal number in the fiercely competitive arena that is the Sabi Sands, an area in which a leopardess will be lucky to raise even three to independence. It will be interesting to see who moves in to fill the incredibly desirable territory she leaves empty. The Nkoveni female, territorial just to the west, is the most likely candidate, but the Island and Tamboti females are also possibilities. The questions that are left focus mainly around her cubs of course; one male and one female. Both have been seen hunting small mammals and birds with increasing success, and even with their mother still alive they would be entering a phase in their life in which she would have left them for longer and longer periods of time. The Mashaba young female was fully independent at 15 months, and the old Maxabene female, who died in 2012, was separated from her mother at only 11 months, yet managed to survive. 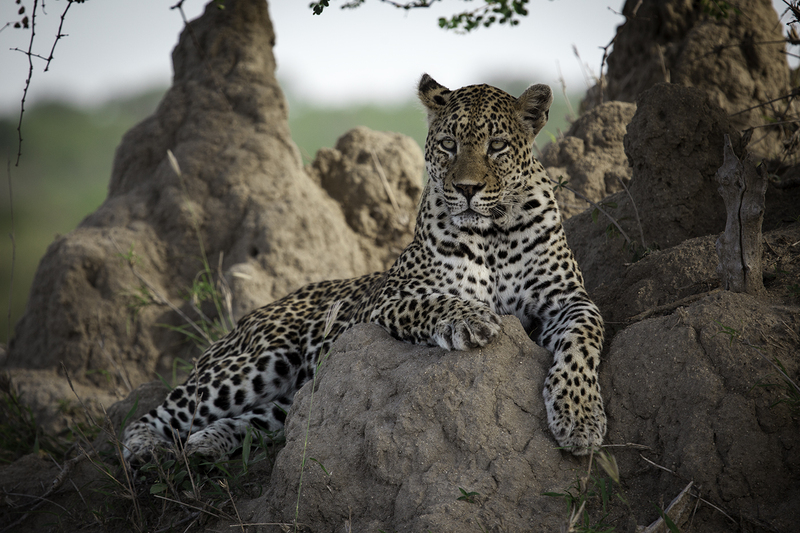 So although we mourn the loss of a magnificent leopard, all is not doom and gloom for the Xidulu young male and female. The area they are currently residing in is rife with impala and other hunting opportunities. The territory is currently controlled by the Piva male, presumed to be their father, who will be tolerant of their presence for some time to come (this applies more to the male cub). And they have turned that magical twelve-month corner. While statistics mean nothing to the individual, I am pretty hopeful that the cubs have as good a chance as they could ever have, and if I was a betting man, my money would be firmly on them to survive to continue their mother’s legacy. Shattered!! A favourite of mine and loved keeping up with her doing’s. I hope her cubs do well. Thank you for sharing her story and for putting the potential survival of her cubs in perspective. Always sad to lose one of our iconic cats but she had a long life. Now let’s pray her cubs will survive to carry on her legacy. If i remember correctly,Nanga’s first male cub was independent from around 8-9 months because she had another litter of cubs,so these two with a little bit of luck should make it. Good memory, but I think he was pushed into independence slightly later than that, at around 10-11 months. We don’t know what happened to him, but the hope is he drifted off and survived elsewhere in the reserve, maybe in the Kruger Park somewhere. I’m so sad as we sighted her and her cubs playing under that Jacekberry Tree only a few weeks ago with Judas and David. Thank you James for the beautiful narrative and honoring of her. James it is sad that this beautiful cat has lost her life. I guess nobody will ever really know what happened, however, one could only hope and pray that her death was swift. I pray that her young cubs will grow and reproduce her genes and this will be a lasting legacy to her. Thanks for the blog. My heart is saddened by this, but hope and prayers go out to her cubs, that they can make an impressive mark on Londolozi as their Mother has! 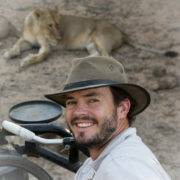 I was in Londolozi in June 2012 with a group led by Martha Beck. It was the highlight of my life. I was 62 and had a lifetime dream of going to Africa from the time I was 4. While I was there, my heart was touched by the beautiful leopards of Londolozi and all the animals, but especially the leopards. I can only guess I may have seen the beautiful Xidulu while I was there. My heart is sad she is gone. Thank you for sharing her story. That is such a sad story and well written. Is this the same leopard known as Karula? No, Karula is a different female. I am so very, very sorry to hear of this loss. I wish the two cubs a long and happy life. I do so love ❤️ reading these blogs. Thank you so much. Similar to what’s happen in Djuma with the dominant, Queen Karula. 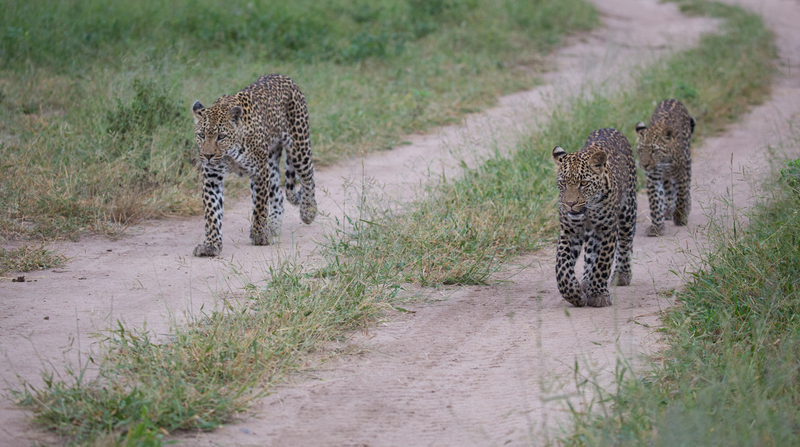 She hasn’t been seen in over 2 months yet her 2 15 months old cubs, boy Hosana and girl Xongile are seemingly making it. I’m glad Londo has some closure for the Xidulu female, at least finding her remains. Being the successful mother she was, here’s hoping her cubs survive. Not having found any signs of Karula or her remains gives some hope. But that may never happen. Thank you for all your updates and blogs. THANKS FOR THE BLOG OF THIS VERY SAD NEWS. I AM FEELING GREAT SADNESS AS I WRITE TO YOU, BUT ALSO GRETA JOY AS THIS LEOPARD HAS PROVIDED ME WITH MANY HOURS OF PLEASURABLE VIEWING AND PHOTOGRAPHIC OPPORTUNITIES. LET’S CELEBRATE HER LIFE AND HOPE THAT THE TWO CUBS WILL SURVIVE AND CONTINUE TO PROVIDE US WITH MANY MORE HOURS OF PLEASURE. 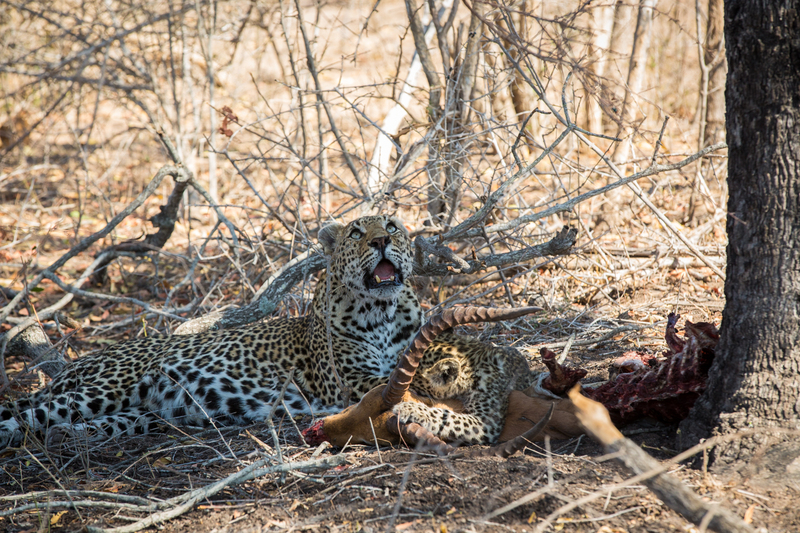 THE LIFE OF ANOTHER LEGEND OF THE LEOPARDS OF LONDOLOZI HAS COME TO AN END! IT HAS BEEN AN ABSOLUTE PRIVILEGE TO HAVE SEEN HER OVER THE YEARS. Thanks for the comments. I imagine you’re not alone in that sentiment; sadness that she’s gone but gratitude to have been able to have spent so many memorable hours with her. Hi James, I’m sad to hear of the loss of this beautiful Leopard, and especially in such a tragic way. I really hope that her cubs will be able to manage on their own now and survive. Will they stay together for a while yet do you think? Do you have any idea who the two male Lions are? So sad to hear this news! They are glorious beings. I am saddened that we lost Xiduluas she was such a determined and strong matriarch ! Please keep us notified as to how her two 14 month old cubs are faring . I pray for their survival from such a strong heritage! This breaks my heart. These animals have it hard. Every day is a struggle. I hope these two orphans make it.